Konami's Q3 net income took a dive, and it's looking to smartphones and tablets for future growth. Konami's net revenue, operating income and net income all took a dive in the nine months ended December 31st, 2012; in the case of net income, Konami made 48.3% less money this year than compared to the previous year. Konami thinks this downturn is mainly due to the global economic slowdown, and claims that its digital entertainment and gaming segments are still performing to its satisfaction. Sales of Pro Evolution Soccer 2013, Metal Gear Solid Social Ops, and the Yu-Gi-Oh! CCG were strong enough to prop up the sagging Digital Entertainment segment, but not quite enough to prevent a 19% net revenue loss. Konami's looking to tablets and smartphones, to shore up - and hopefully improve - its Digital Entertainment sales. "Our belief is that we can increase the number of 'outlets' for Konami Group's game content by taking advantage of opportunities presented by the emergence of new devices," Konami said, adding, "we intend to develop ways of playing games that match the characteristics of each device." 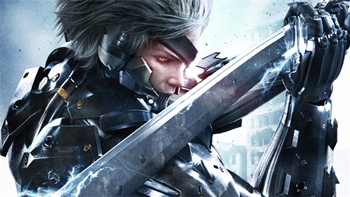 Metal Gear Rising Revengeance, and Konami's foray into Hollywood, Metal Gear Solid, are two other examples of what Konami describes as "strong media content" intended to boost the bottom line.